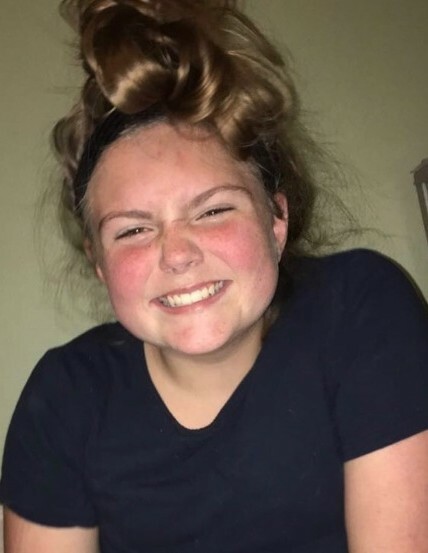 Caili Jean-Loraine Mueller, 14, of Charlevoix, passed away on Thursday, March 28, 2019 at Munson Medical Center. Caili was born on March 4, 2005, in Charlevoix, MI, the daughter of Mark A. Mueller and Jana Leigh (Mansen) Mueller. Caili loved softball, and playing in the outfield. She was involved in church and choir at the Community Reformed Church of Charlevoix. Caili was an animal lover, her favorites being her dog Smokey and her cat Butterscotch (Butters). Caili enjoyed camping, baking, drawing, making videos with her mom, and shopping with her grandma. Caili especially loved spending time with her best friend and “partner in crime” Kelsey Seymour. Caili was a vibrant young girl with many family members, friends, classmates, teachers, and community members, all of whom adored her. She was a ray of sunshine who will be missed by ALL who met her. Caili is survived by her loving parents, Mark A. Mueller and Jana L. Mueller, her big brothers, Jason and Jacob Mueller. Her maternal grandparents Cindy and Jim Mansen, of Charlevoix, MI, and paternal grandparents Jerry and Kristine Mueller, of Lapeer, MI. Her best friend Kelsey Seymour, of Charlevoix, also survives. Along with uncle Steve and aunt Kathy Mansen, of Petoskey. Many more loving aunts, uncles, and cousins survive her. Caili was proceeded in death by her paternal grandmother Loraine Mueller, and her paternal great-grandmother Jean Bartz, who especially adored her. Funeral services will take place on Monday, April 1, 2019, at 1:30 p.m., at Charlevoix High School gymnasium, 5200 Marion Center Road, Charlevoix, MI, 49720. Pastor Chip Sauer will officiate. Visitation will be Monday, April 1, 2019, from 12:00 p.m. to 1:30 p.m., also at the Charlevoix High School gymnasium. Burial will take place in Barnard Cemetery, in Charlevoix, MI, when weather permits. Memorial contributions can be made to Charlevoix State Bank, c/o The Caili Mueller memorial fund, 111 State Street, Charlevoix, MI, 49720.